Just in time for summer, I’ve finished a heavily textured pullover! After the lower than average temperatures of May, June has started to hot up and thick jumpers are unnecessary! It’s my penultimate project for Part One of IDC and fulfils the criteria: commercial pattern; sleeves; and shaping. 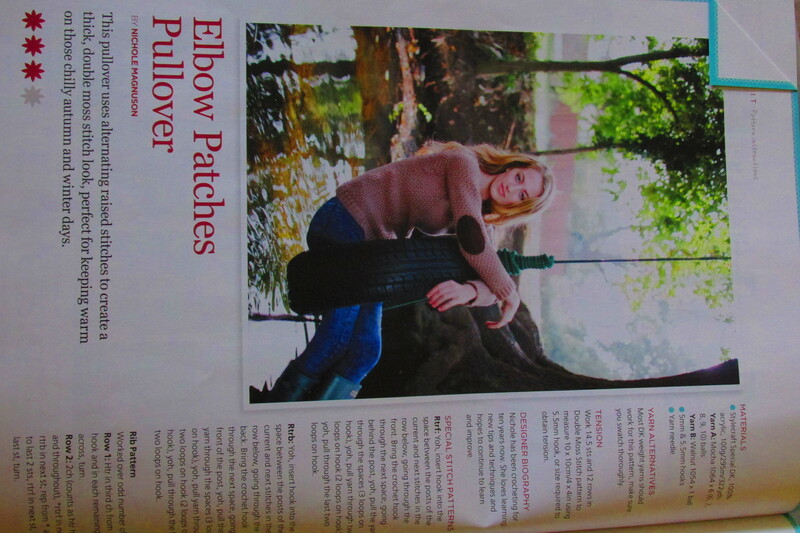 The pattern was called Elbow Patches Pullover by Nichole Magnuson (Inside Crochet, issue 60) but I omitted the patches, which was acceptable as we are allowed to make one change to the commercial pattern. Dare I admit it..? Even though I’ve been doing crochet for about six years, this was the first garment I’ve made – though not the first attempted! I was keen to do something tactile, as I’m more interested in texture than colour-work. I have the (perhaps incorrect) notion that colour dates a garment faster than texture, and as I’m not really into fast fashion (handmade items are slower to make and so surely have no proper place in fashion that gets replaced every season) texture appeals more. 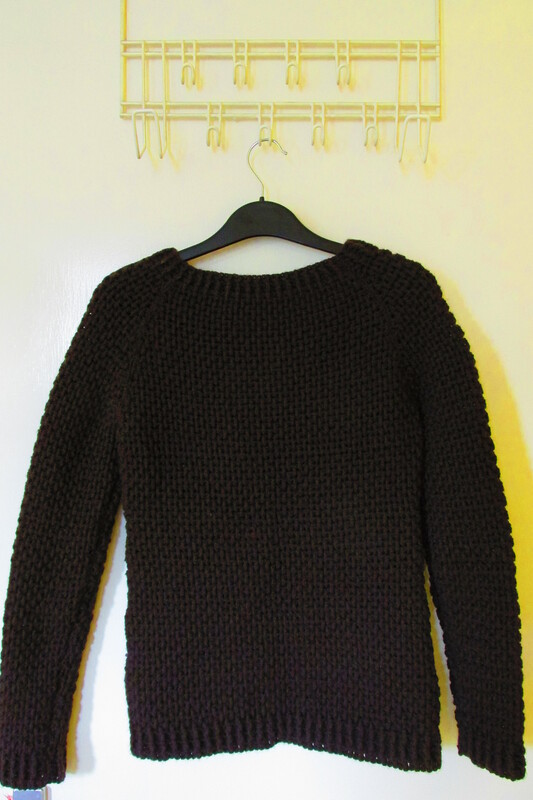 I really liked this jumper when I started making it, but by the time I’d finished it, I completely gone off it! It remains to be seen whether I wear it or not. Anyway, as an IDC project, it passed with ..ha.. flying colours!